Tail Waggers & Wash is a self service dog wash, full service grooming salon and a doggie boutique. Whether you want to do it yourself or leave it to our professionals, Tail Waggers is your one stop pet pampering place. At Tail Waggers & Wash, our mission is to provide our customers, both two-legged and four-legged, with a clean, stress free environment. We are here to provide a fun experience for the whole family. We are all animal lovers here, so you can be sure that your fur baby will be treated with plenty of tender love and care! New to Tail Waggers? 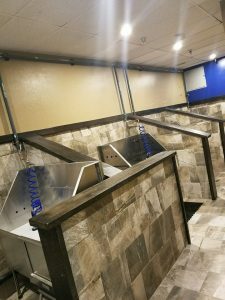 We want you to feel great about where you are leaving your pet…Please stop by and meet our professional, friendly staff and see what makes us unique. A clean dog is happy dog!! We can accommodate giant breeds!!! huahua a nail trim, My Dog’s Groomer ensures that your pet receives prompt and careful attention. We strive to make your pet’s visit a happy one! Our shampoos, conditioners, and treatments are all top quality to ensure your pet will go home looking and smelling great. We also have terrific special treatments for pets who have a variety of skin conditions or allergies. Grooming is on a dog by dog basis. 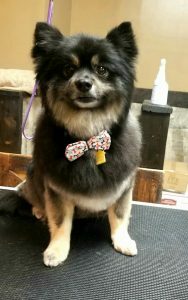 Please talk with the Grooming specialist for pricing. Proudly Powered by Penny Wise © 2018 All Rights Reserved. Created for Tail Waggers & Wash by Penny Wise Technologies, LLC .